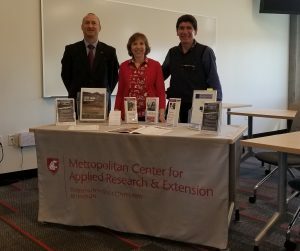 The Metropolitan Center for Applied Research and Extension was recently announced as a national award winner by the National Association of Community Development Extension Professionals (NACDEP). The award, ‘Innovative and Creativity: Team for 2018’ recognizes the Metro Center for their community development work, program accomplishments, research effectiveness, and their collaboration with others to help meet community development needs. All awards will be presented during the NACDEP Conference, June 10-13 in Cleveland, Ohio. The national awards will be presented at the banquet on Tuesday, June 12 at 7 p.m. 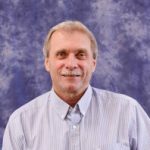 Regional awards will be presented during the regional meetings on Monday, June 11 at 4:15 p.m.
Center Director Michael Kern authored an article in the Journal of Extension entitled Developing and Managing an Advisory Board to Support Extension-Based Centers and Other Programs. Additionally, Project and Development Lead, Chris Page, authored an article published in the Journal of Extension entitled Creating and Implementing Diverse Development Strategies to Support Extension Centers and Programs. 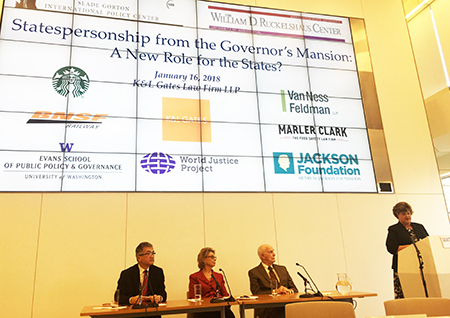 On Tuesday, Jan. 16, the William D. Ruckelshaus Center and the Slade Gorton International Policy Center featured former Washington State Governors Daniel Evans, Christine Gregoire, and Gary Locke, at their fifth annual joint luncheon. The luncheon was titled “Statespersonship from the Governor’s Mansion: A New Role for the States,” featured a discussion moderated by Renee Radcliff Sinclair of TVW. The former governors reflected on their views and personal experiences in governing the state, and how the balance of power and leadership between state governments and the federal government may be changing. The event can be viewed on the Ruckelshaus Center site or the TVW website. The Ruckleshaus Center is a joint effort of WSU Extension and the University of Washington Evans School of Public Policy and Governance. 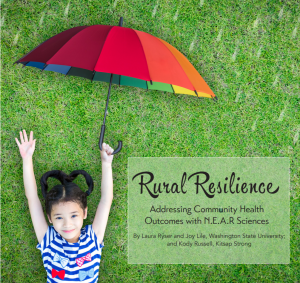 Congratulations to Laura Ryser for her co-authored article Rural Resilience: Addressing Community Health Outcomes with N.E.A.R Sciences in the Fall 2017 Rural Connections Issue. The article discusses the importance of developing a resilient and thriving community ecosystem in order to address the lifelong effects of adversity for those who have experienced high levels of toxic stress in childhood and adulthood. The instructive magazine, Rural Connections, informs the nation on timely research and activities by the West’s land-grant institutions and regional/national agencies as it relates to rural development issues in the region. Extending science to serve communities is what Extension is all about. And when it comes to health, entire communities—from youth to elders, rural and urban—must band together to find solutions. The Culture of Health partnership unites thousands of communities in a 10-year effort to tackle the challenges they face when it comes to health. Funded by the Robert Wood Johnson Foundation, the nation’s largest health philanthropy organization, and led by the National 4-H Council, with assistance from the Metropolitan Center for Applied Research and Extension at WSU, the new Metro Center partnership aims to solve health challenges like chronic disease and rising healthcare costs. 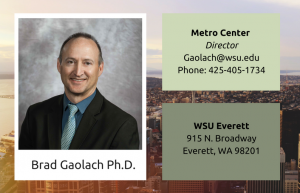 Congratulations to the Metropolitan Center for Applied Research and Extension’s director, Brad Gaolach, for his co-authored article on A National Framework for Urban Extension. The Journal of Extension (JOE) creates opportunities for professionals and students to publish intellectual, creative work; nurtures emerging scholars and new authors for success; encourages professional development; and advances the theory and practice of Extension. JOE is a rigorous, peer-reviewed journal that brings the scholarship of university outreach and engagement to educators and practitioners around the world. The acceptance rate for manuscripts submitted to JOE is currently 24.5%. We are excited to share a just published, free online resource: A Field Guide to Ripple Effects Mapping (pdf.) co-edited by WSU faculty Debra Hansen, Rebecca Sero, and adjunct Lorie Higgins from the University of Idaho; along with Scott Chazdon, University of Minnesota and Mary Emery, South Dakota State. This Ripple Effects Mapping (REM) team has won three national awards for their work through the National Association of Community Development Extension Professionals, American Evaluation Association, and the Community Development Society. Discover more about REM by visiting the WSU Extension Project & Program Evaluation page. José García-Pabón, an associate professor in Extension Community and Economic Development and Latino Community Studies and Outreach specialist, has earned National Association of Community Development Extension Professionals (NACDEP) honors in diversity for 2017. He placed second nationally and won top honors in the Western region. The awards were presented at the NACDEP-CDS Joint Conference, June 11-14 in Big Sky, Mont. 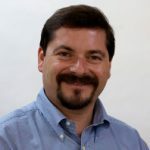 Through his Extension program, García-Pabón delivers educational resources to Latino families to help them engage with their communities and improve their families’ well-being in areas including entrepreneurship, youth leadership, sustainable farming, empowerment of women, and training. 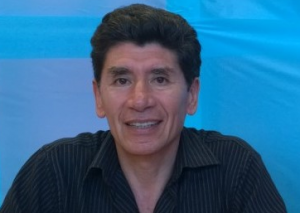 García-Pabón also recently published “Latino small businesses in northwest Washington: Perceptions, challenges, and needs” in the latest issue of the Journal of Community Development. He surveyed Latino small business owners to learn about the factors that influence their success or failure. Most want business advising and training, and find satisfaction in owning their own businesses. 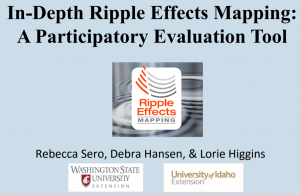 WSU Extension faculty and colleagues have won the National Association of Community Development Extension Professionals (NACDEP) – Community Development Society (CDS) Team Award for their innovative Ripple Effects Mapping (REM) tool. The WSU-created REM tool collects the untold stories and behind-the-scene activities that ripple out from community programs and activities. 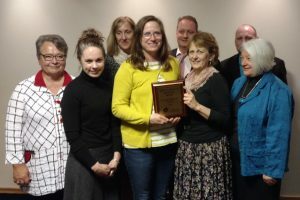 Debra Hansen, director of WSU Stevens County Extension; Rebecca Sero, evaluation specialist and assistant professor at WSU Spokane; Lorie Higgins, WSU Extension adjunct and extension specialist; associate professor at the University of Idaho; along with colleagues from the University of Minnesota and South Dakota State University, were presented with the 2017 Joint NACDEP–CDS Team Award at the national conference on June 14. The award exemplifies the society’s principles of good practice as well as the vision of NACDEP, and recognizes the team’s creation, refinement, and work using REM across five states. The team was recognized for their generosity in sharing the technique, and for the benefits it provides for communities. A follow-up report that describes the communities progress over the past 11 months of implementation and future goals centered around infrastructure, industries and employment, community and workforce development, resilience and sustainability, place-making, and rural innovation. 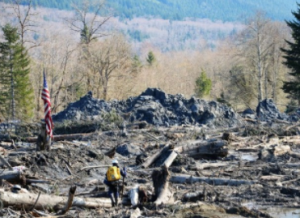 On March 22, 2014, a catastrophic landslide affected several communities in northwest Washington when an unstable hillside gave way. A wall of mud buried an entire neighborhood, taking 43 lives, and closing State Highway 530, the physical and economic lifeline for the region. 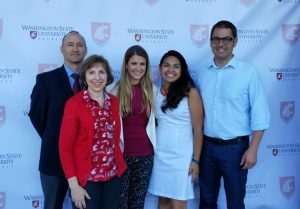 In response to the disaster, Washington State University (WSU) assembled a multi-disciplinary team to support the long-term recovery of the impacted communities. 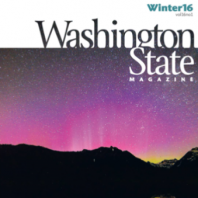 Visit the following link to read more about WSU’s long-term recovery report. 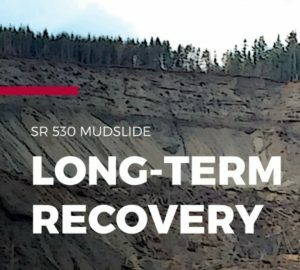 For additional resources on SR 520 Mudslide recovery efforts, visit the Metro Center’s project page. The educational program model is the principle approach Extension uses to deliver on its mission of “taking knowledge to the people.” However, with county-based faculty fully engaged in long-term program delivery, they may have little or no capacity to address emerging issues faced by urban communities. Urban governments often seek the research capacity of a university in addition to, or instead of, the traditional Extension programming model but sometimes turn first to other urban-serving universities. 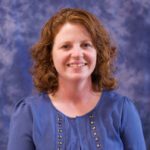 Washington State University Extension has addressed these challenges by establishing subject-matter centers. This article examines how subject-matter centers can add capacity to traditional Extension offices in order to be responsive to emerging local needs, suggesting models that other university Extension programs may use or adapt to their local communities. These models also foster more community engagement and articulate greater public value for the institution as a whole. Read the full article: Urban Extension: Aligning with the Needs of Urban Audiences Through Subject-Matter Centers. 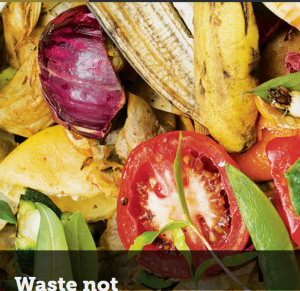 Clallam County Extension agents work within their communities to reduce food waste through gleaning and other food recovery programs to redirect vegetables and fruits to food banks and people without enough food. 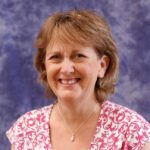 Clea Rome, director of Clallam County Extension, says “Extension is a unique spot to connect different aspects of the food system and make it more equitable through food recovery”. Gleaning has also had substantial effects on the county. Karlena Brailey, a nutrition coordinator for Clallam County Extension, recently gave away 2,500 pounds of locally gleaned apples and pears to families in the Port Angeles School District. She is also working on a project to turn some of those gleaned apples into apple sauce, which will be distributed to clients at meal sites and food banks. 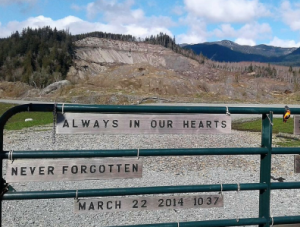 The massive Oso landslide killed 43 people, caused extensive flooding, and destroyed a key highway north of Everett in 2014, pushing the communities of Arlington and Darrington to their breaking point. Working in partnership with the two municipalities, the Economic Alliance Snohomish County, and numerous local partners, the Metro Center has steadily guided the communities in their quest for sustainable economic prosperity. Learn more about the Metro Center and the services that they offer. Measuring condition change is challenging for all Extension programs, and very challenging for documenting change in economic and community development. Ripple Effects Mapping (REM) is a group participatory evaluation strategy for developmental and impact evaluation. The method engages program participants and stakeholders to retrospectively and visually map the chain of effects resulting from a program or complex collaboration. It is a highly participatory method, treating program stakeholders as integral, active participants in the evaluation process, rather than as passive recipients of program evaluation results. 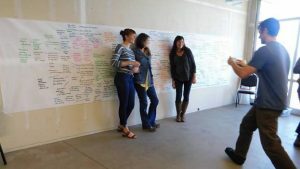 REM is engaging and interactive, iterative and conclusive, and is adaptable to unique contexts. Washington Rural Pathways to Prosperity Conference “Small Business is Everybody’s Business” achieves wide-ranging success using a new model of delivery. Washington State University’s Rural Pathways to Prosperity (P2P) is a statewide economic development leadership conference that uses a unique hybrid delivery model to reach rural communities, revive the economy, and strengthen the entrepreneurial ecosystem. P2P uses technology to connect multiple sites simultaneously to provide an interactive webinar featuring a national expert. Well-designed and adaptable activities facilitated by local community leaders address issues and opportunities introduced by the speaker and regional participants. Small business owners and entrepreneurs also participate at local sites, allowing them to leverage the knowledge gained and apply it as well to their business goals and aspirations. Debra Hansen and Monica Babine have received the 2015 Leadership and Collaboration Award of Excellence from the University Economic Development Association for their development of the Rural Pathways to Prosperity (P2P) Conference. 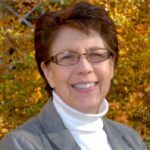 Debra Hansen and Monica Babine developed P2P as a more easily accessible resource for rural small businesses to continue thriving, growing, and creating jobs. Even though small businesses comprise more of Washington’s rural economies than their urban counterparts, conferences and other learning opportunities are almost always located in urban centers, creating time and money barriers for rural community leaders and business owners. WSU Extension’s SR 530 Mudslide Recovery Team, lead by Curt Moulton and Mike Gaffney, have received the NACDEP 2015 National award for Excellence in Teamwork. Dan Fagerlie has won the 2015 NACDEP Diversity Award for his efforts in partnership with the Colville Confederated Tribes and his work as the WSU Extension Tribal Liaison.